It was a different time back in 2008. It was before the Marvel Cinematic Universe, as The Dark Knight was released merely two months after the MCU's inaugural film, Iron Man, first hit theeaters. This was before shared universes and crossovers became vogue. It was a simpler time back in 2008, and Christopher Nolan, his brother and writer Jonathan, and co-writer David S. Goyer were simply focused on making a good sequel to their smash hit. Batman Begins had successfully rebooted the Batman franchise for Warner Bros after the disastrous Batman & Robin nearly killed it in 1997. Batman Begins was a great success in 2005, paving the way for a sequel that would hopefully be more successful and better received. Just how more successful and better received it ultimately became was a surprise to everyone. The Dark Knight was a unique phenomenon. Sure, there have been other superhero movies that have had a similar impact, such as perhaps Avengers: Infinity War earlier this summer, but I would argue there has yet to be a superhero movie to have the kind of immeasurable impact The Dark Knight had on superhero movies and Hollywood, and pop culture as a whole. I would also go as far as to say that The Dark Knight is the pinnacle not only of the Batman franchise, but of the genre as a whole. There won't ever be a superhero movie as good as The Dark Knight, and there certainly won't ever be another Batman movie as good as The Dark Knight — at least not in our lifetime (although with Matt Reeves at the helm, you never know?). It's a masterpiece, and it will reign undefeated and unmatched for a very long time. When it comes to dissecting and analyzing the success of The Dark Knight, Heath Ledger comes up most often. That's not surprising — his performance is extraordinary, and it won him the Academy Award for Best Supporting Actor in 2009. However, I believe the reason why The Dark Knight is such an overwhelming success isn't just due to Ledger's performance, but rather three other hugely important factors. First: in 2007, Warner Bros commissioned a special company called 42 Entertainment to create a viral marketing campaign for the film. It was one of the best marketing campaigns ever executed for any Hollywood movie. 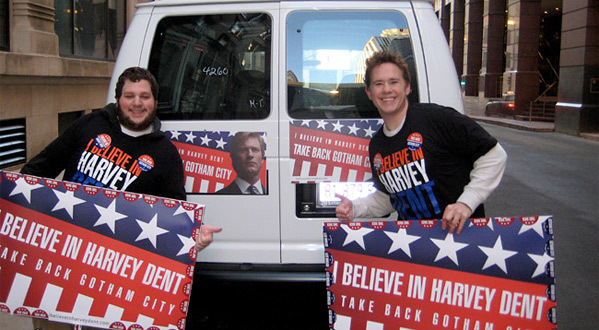 This wasn't just an average marketing campaign — this campaign included scavenger hunts (including one that echoed through the streets of downtown Chicago where TDK was filmed), hoax political rallies for District Attorney candidate Harvey Dent, and online websites that encouraged user interaction, such as the reveal of Heath Ledger as The Joker. For the reveal, you had to submit your email address into a website and slowly but surely with every submitted email a new pixel revealed the brand-new look of The Joker. This intensely interactive, viral campaign was in many ways revolutionary for the superhero genre. At the time, the only other viral campaign that had a similar social impact was the viral marketing campaign for Paramount's Cloverfield. Warner Bros was one of the very few studios at the time that was experimenting with such an intensive, interactive marketing campaign — and it was massively successful. Our own Alex Billington went into great detail describing why the viral campaign was so effective back in March 2008, but you really had to witness the campaign to believe in it. I remember that campaign so vividly. I remember taking part of the scavenger hunt across downtown Chicago in the spring of 2008, racing from checkpoint to checkpoint uncovering new clues that eventually lead to the reveal of the Bat-symbol on the Sears Tower. It made the movie more than just another summer blockbuster - it made the film an experience. The marketing campaign would become so successful that it would inspire other movies to do the same, including Paramount's Super 8, Sony's District 9, and Disney's Tron Legacy — but the viral campaign for The Dark Knight was one of a kind. To this day, there hasn't been a viral marketing campaign to surpass or even match it. It had a huge role in putting the movie in the minds of people that wouldn't ordinarily engage in such a property, and it helped The Dark Knight to earn over $1 billion in total at the box office back in 2008. However, viral campaigns — no matter how good or well-executed — cannot help a film maintain a legacy that has been going strong for the past decade. So what has cemented the legacy of The Dark Knight a decade later? It's quite simple: The Dark Knight is and will always be a masterpiece. It's an incredibly well-made film that transcended the genre and elevated it to new cinematic heights. The Dark Knight wasn't just another superhero movie. As with most successful superhero movies, it was a genre film masquerading as a superhero film. The same way that Captain America: The Winter Soldier is a political thriller disguised as a superhero film, or the same way Logan is a western disguised as an X-Men film, The Dark Knight is a crime thriller disguised as a superhero epic. Nolan has talked extensively about how Michael Mann's Heat influenced this take on Batman, going so far as using Heat's own William Fichtner in the opening bank robbery scene in the film. Nolan unabashedly pays homage to Michael Mann's crime thriller with The Dark Knight, from the use of Fichtner to the film's blue color palette to the scaled back visual approach and lean storytelling. The Dark Knight tells the multi-layered story of Batman, Commissioner Gordon, and Harvey Dent trying to stop The Joker and the mob, using the subterranean levels of Chicago to help visually sell this story of corruption, greed, and ultimately heroic sacrifice. However, you can't write about The Dark Knight without mentioning The Joker behind it all: Heath Ledger. His performance, as has been documented and mentioned and analyzed a million times before, is astonishing. Heath Ledger didn't just portray a mass-murdering psychopath, but he imbued The Joker with a sense of identity and purpose that made him feel like a real person. He could have approached The Joker like a caricature, but he didn't. The Hollywood Reporter recently interviewed Michael Jai White, who plays Gambol in the film, and he talked a bit about Ledger's approach to acting and the character. When you're making a film, you usually film scenes in increments, to both maximize time and resources. As an example, an actor might film his “coverage” first — or the moments where he or she appear on camera — and then the cameras change positions and film the other actor's coverage in a scene. 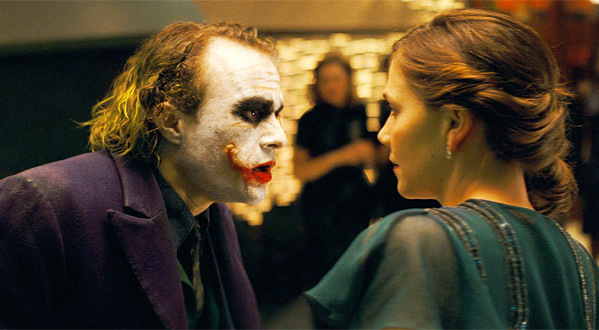 During the mafia scene where The Joker confronts Gambol and the other mob members, White mentions how Ledger stayed in costume even for the other actors' coverage. That is just a testament to Ledger's professionalism, his dedication, and his craft. That is just one of the many reasons why there won't ever be another Heath Ledger. 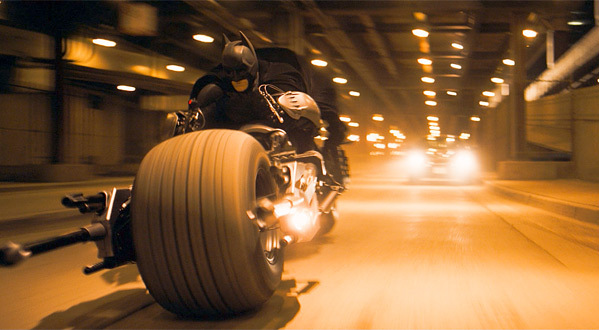 I would also be remiss if I didn't mention the third major reason why I think The Dark Knight is such a masterpiece. Heath Ledger's performance is extraordinary, but any good performance is supplemented by an amazing screenplay. Jonathan Nolan's screenplay is exquisite, an incredible balancing act that moves at an effortlessly brisk pace. The fact that The Dark Knight juggles so many characters, so many compelling subplots, and so many set pieces at ease is quite astounding. If you've seen superhero movies, or any film really, and you felt like there was something missing — perhaps some of the characters didn't react properly, or a part of the story felt overly manufactured — then just take one good look at how the screenplay under-serviced the film. As Alfred Hitchcock once said, "To make a great film you need three things: the script, the script, and the script"; a good script is everything when making a motion picture. The Dark Knight is serviced by an incredible screenplay, and credit must be given where credit is due. Jonathan Nolan wrote one hell of a screenplay for The Dark Knight. A full ten years later, and Christopher Nolan's The Dark Knight is just as relevant now as it was back then — and in some cases, even more relevant. TDK not-so-subtly handles real-life events such as wiretapping, our response to terrorism, and governmental influence. When I saw the movie two years ago at a screening at Millennium Park in Chicago with a massive crowd, another aspect also became vividly apparent. Besides how it circumvents a modern superhero movie trope — there's no giant laser beam shooting up in the sky, nor is there a bomb threatening to destroy Gotham City (at least until The Dark Knight Rises) — The Dark Knight handles societal class and racism in a surprisingly subtle but effective way. As the film barrels toward its third act climax, The Joker threatens to blow up the city. Gotham City citizens have escaped in two ferries — with one ferry carrying "innocent" people, regular citizens, and the other carrying criminals from a prison. The Joker forces the citizens of Gotham to make a choice: either blow up the other ferry, or The Joker will blow up both. For a huge blockbuster movie, it's quite impressive to have the climax hinge on an ethical, moral quandary rather than a more literal one. As the citizens struggle with how to respond, a criminal (played by Tommy Lister) on the other ferry does something "unexpected" — he throws away the detonator, refusing to blow up the ferry carrying civilians. It's a smaller moment, but in today's heated racial and political climate it carries even more cultural significance perhaps now than it did even ten years ago. When that moment happened, in the wake of a heated and contentious presidential election, the audience I was watching the film with exploded with rapturous applause. It was the first time an audience reacted that way during that moment in the movie, and something occurred to me. In that singular moment during that viewing it occurred to me that Christopher Nolan has created a timeless masterpiece that has already stood the test of time, and will continue to do so for a very long time. The Dark Knight has endured for the last decade already, and something tells me it will endure for many decades to come. Christopher Nolan didn't just create another superhero movie to toss on the shelf with all the others. He made the superhero movie that will be long remembered for changing the genre, the industry, and pop culture forever. There's no going back from here. "Sometimes the truth isn't good enough, sometimes people deserve more…" Do you still think Nolan's The Dark Knight is a masterpiece ten years later?